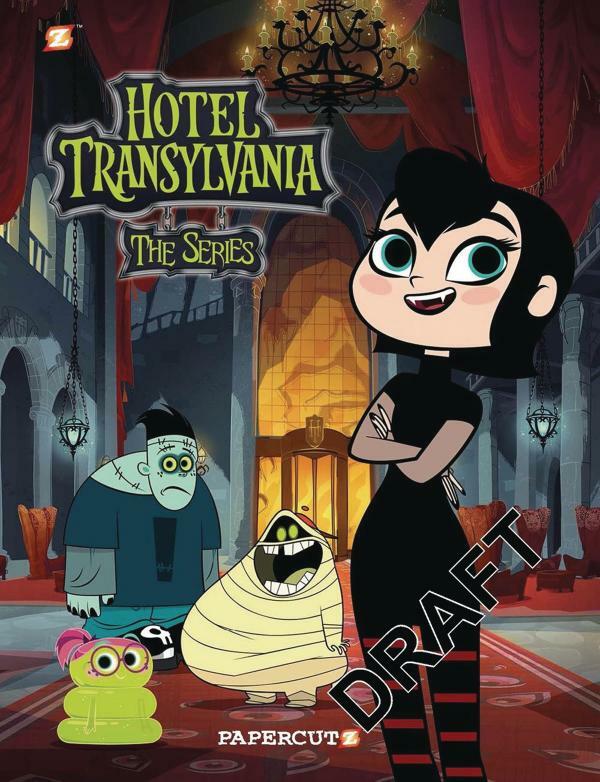 Based on the all-new television series focusing on the earlier teenage years of Dracula's daughter Ma-vis and her three closest friends, Hank N. Stein, Pedro and Wendy Blob. With Dracula away on "Official Vampire Business," Mavis finally sees her chance to show her father what she can do. With the help of her friends, she decides to put her brilliant ideas of how to run the Hotel into motion, but-enter Aunt Lydia, Dracula's older and authoritarian sister. While Mavis and friends are ready to let loose and have fun, Aunt Lydia pushes for even more order and tradition at the Hotel. Available in softcover and hardcover editions. An all-new story taking place before and tying into the third Hotel Transylvania movie! 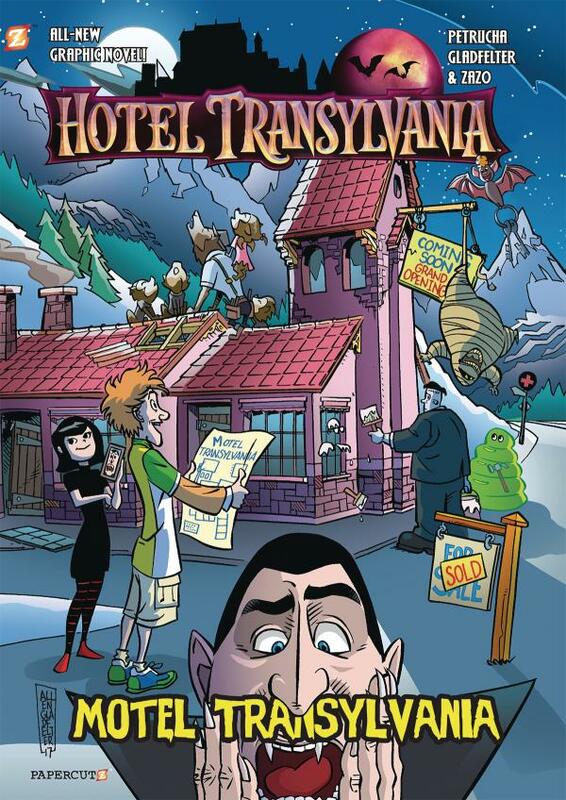 Jonathan, yearning to be a part of the hotel business like his father-in-law, Drac, opens a motel in the Swiss alps. With the help of his wife, Mavis, and little Dennis, the family remodels a run down motel to tip-top monster shape! But after numerous mishaps, monsters won't even check in! Not even humans will check in! 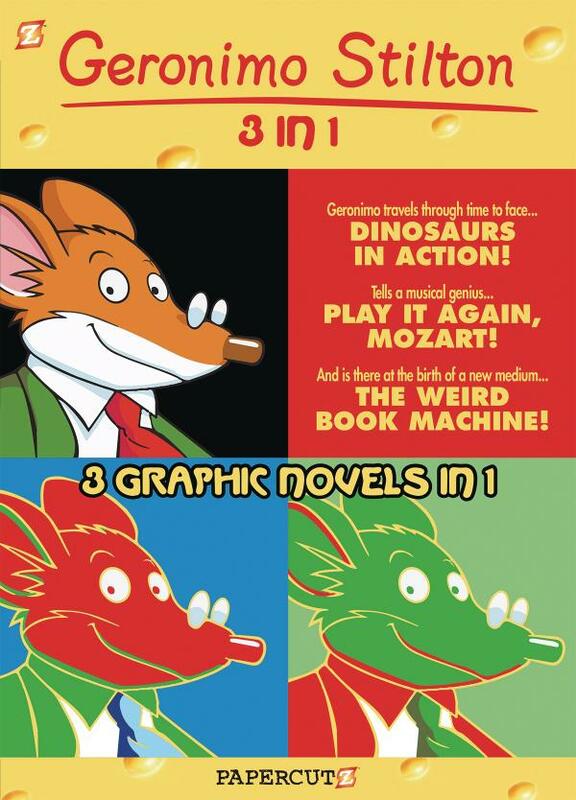 It's up to Jonathan to get to the bottom of the mystery and save Motel Transylvania!